Lichen Rib from Nancy Bush's Knitting Vintage Socks. The yarn is Posh Yarn Lucia in Highland Mist (one of Dee's old standard colourways). 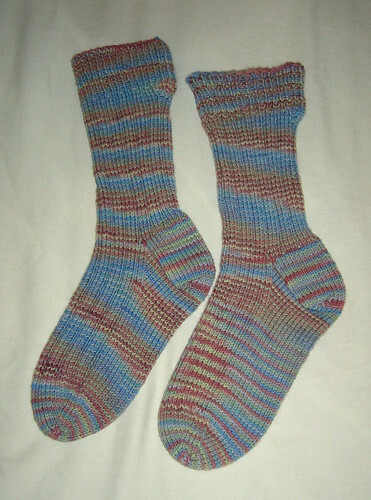 I finished the first sock last year and then stalled so I am glad to have these finished. They are winging their way to the US as an angel package for someone in the Vintage Sock Swap who didn't get any socks.